There are more valve selection options available than one can count. Differing types, sizes, materials, and other special characteristics distinguish each and every product as unique in its own way. Matching the design and performance strengths of a particular valve to the requirements of an application may require some investment in time and research, but the payback can be years of trouble free performance. Diaphragm valves are beneficial for applications requiring hermetic isolation of the valve bonnet and stem from the media. The diaphragm serves as the isolating barrier. The valves are generally tolerant of particulate matter entrained in the media, and provide good shutoff and throttling capability. Body and diaphragm materials should be selected that are compatible with the media. Body styles are either weir or straight through design. Straight through body styles offer a less restricted flow path than the weir type, but diaphragm movement in the weir style is reduced. Diaphragms do wear and will need to be replaced at some point. Valves should be installed with good service access. There are many variants of diaphragm valves, broadening their suitability for a wide range of industrial applications. Share your fluid process control challenges with application specialists, combining your process knowledge with their product expertise to develop effective solutions. Diaphragm valves are suitably used for applications requiring hermetic isolation of the valve bonnet and stem from the flowing media. They also are capable of throttling flow and are generally tolerant of particulate matter entrained in the media. Selecting body and diaphragm materials that are compatible with the media are primary elements of achieving a successful application. 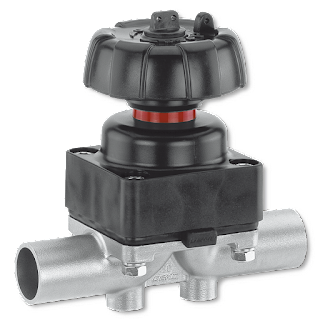 Gemü, a globally recognized manufacturer of diaphragm valves and other control components, offers a line of industrial metal diaphragm valves available in a range of materials and sizes to accommodate heavy duty applications. Share your fluid process control challenges with application specialists, combining your process knowledge with their product expertise to develop effective solutions. Diaphragm valves comprise one of many different process control valve designs, each with specific attributes making them better suited for certain applications. Selecting the right valve type for an application is a critical early step toward successful control implementation. Familiarity and understanding of how a particular valve type functions is necessary when equipping a fluid control system. Here are some considerations for valve operation that come into play. Industrial process control applications cover an immense range of viscosity, velocity, solids content, and other physical media characteristics that may, or may not, be acceptably addressed by some valve types. Some valve types are more suitable for a high frequency of on/off cycles, others are better suited to slower rates. Some industries have requirements for special cleaning, sanitizing, or sterilizing of the process flow path. A valve design that does not trap the media within the valve body and allows for full exposure of the fluid path to whatever cleaning agent is applied has certain advantages for these applications. Some cleaning operations also require a full bore or straight through flow path to allow for proper cleaning. 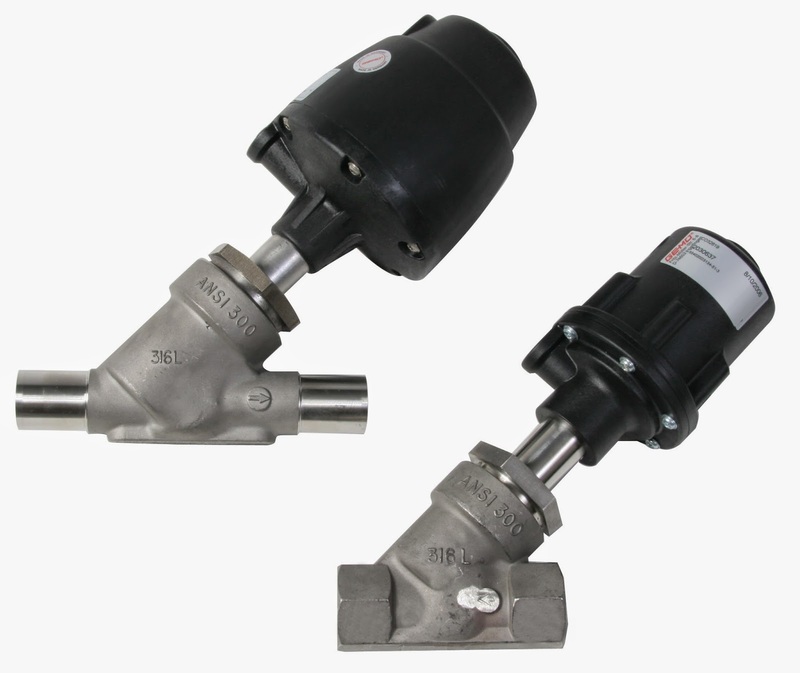 Different valve types may have varying capabilities to provide rapid change of valve position. Valve operating speed must be compatible with process requirements that may call for either rapid or slow opening or closing. Each valve type, through the characteristics of its closure mechanism, offers comparatively different capacity for regulate fluid flow across an extended range between completely closed and fully open. Different valve trim arrangements can predicate how much installation space a valve may require for proper operation and maintenance. For example, a valve with a rising stem will generally require more clearance than a similar capacity valve with a rotating stem. Certainly, there are more aspects of valve operation that will be taken into account in the selection process. Below is a short video that provides an animated look inside a weir diaphragm valve. The video provides a clear illustration of how the fluid flows through the valve and how the valve controls flow. There are variants of the diaphragm valve that do not use a weir, providing a straight through or full bore flow path. Their operation is similar. Watch the video. It's short and to the point. Get the help you need solving your process control valve challenges from the seasoned experts at Mountain States Engineering. 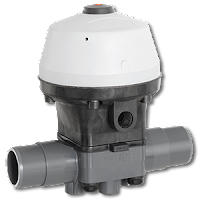 When is a Diaphragm Valve Your Best Choice? Industrial process control, as a field of endeavor, covers an incredibly broad range of applications, all highly specialized in their own way. The control and handling of fluids is a prevalent activity in process control, leading to a wide variety of valves from which to choose for your application. Figuring out which flow control valve will best meet the needs of a particular application requires a detailed assessment of the physical elements to which the valve will be exposed, and under what conditions it will need to operate. In other words, know your process fluid, know your operating environment. A solid understanding of your process will make valve selection a simpler task, since there will likely be a small segment of your requirements able to be fulfilled by only one or two valve types. 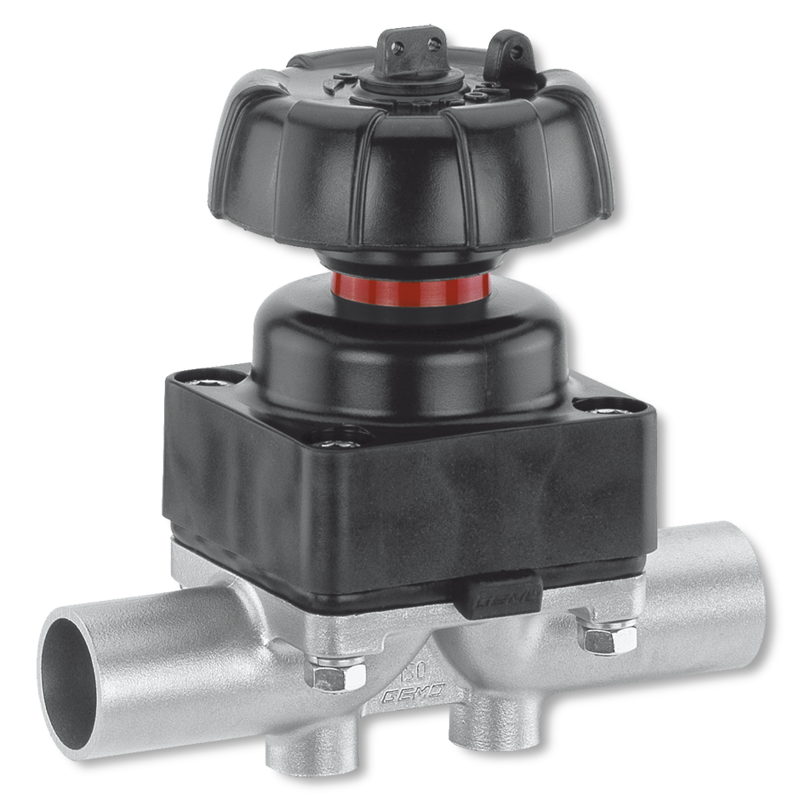 When referring to valve types, common terminology generally describes the means utilized to control the flow. Some prevalent valve types, though certainly not an exhaustive list, include ball, plug, butterfly, diaphragm, gate, needle, and globe. Each of these basic designs have characteristics that make them more suitable than others for certain application conditions. Let's look at diaphragm valves. A diaphragm valve controls fluid flow through the movement of a flexible membrane, unsurprisingly called a diaphragm. Numerous means can be employed to apply force to the diaphragm and a seal is created when the membrane compresses against a targeted portion of the valve body. A prominent feature of this valve type is the isolation, by the diaphragm, of the valve operation mechanism from the fluid. Two general body styles are available, referred to as weir and straight through. The weir design requires less extensive movement of the diaphragm than the straight through type, resulting in a longer expected life for the diaphragm. The straight through style, when open, provides little obstruction to the fluid flow and may be more suitable for some media. Isolation of the valve operating mechanism from the fluid. Design is easier to sanitize or sterilize in place than other valve types. Throttling or shutoff service. Throttling generally limited to weir type. Fast operation with powered actuators on weir type. Valves can be lined with materials suitable for abrasive, corrosive, high purity, or other media. Diaphragms available in wide variety of materials to suit application. Valves can be serviced in-line. Suitable for many high purity applications with proper lining and membrane materials. Limited operating pressure range, when compared to many other valve types. Flexing of diaphragm during operation limits usable life of the membrane and creates maintenance event. Temperature range is limited to that of the membrane and liner material. 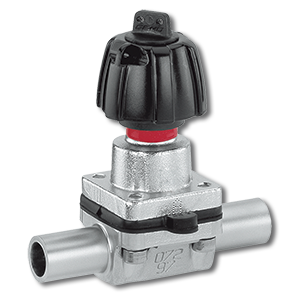 Range of available sizes is generally less than other valve types. Manual operation is generally slow, requiring multiple turns of a handwheel. 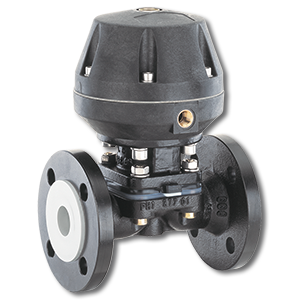 Consider your process environment, consider your process fluid, consider if a diaphragm valve will provide the performance you need. I always recommend taking the time to discuss your application with a valve specialist. Their extensive knowledge base and application experience will enhance your solo valve selection performance.